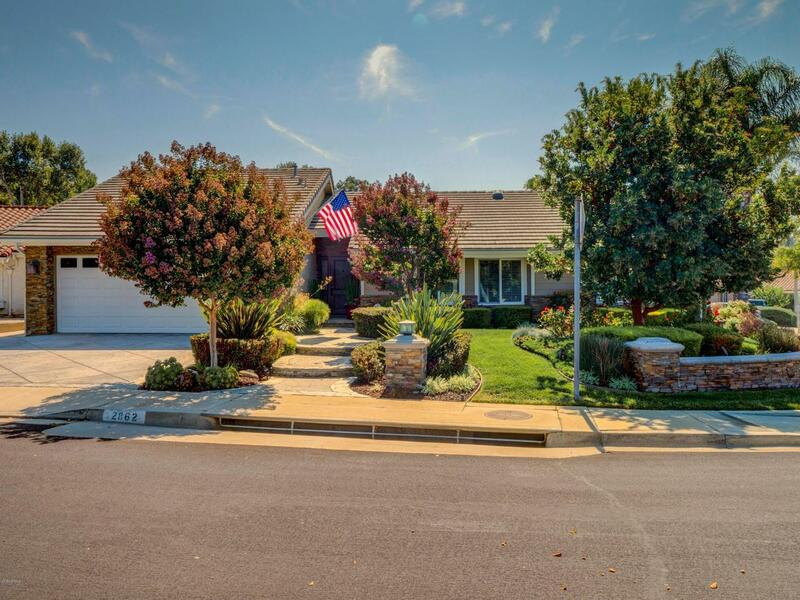 Stunning upscale 3 or 4 bedroom, 3 bath home situated on a quiet cul-de-sac in the heart of Thousand Oaks. Enter through the custom door to the spacious living room featuring hardwood floors, crown molding, and recessed lighting throughout. Gourmet kitchen has it all - quartz countertops, large center island, Viking double ovens, Subzero refrigerator, and opens to a large family room perfect for expanded entertaining. Work from home in the custom-built office, featuring built-in corner desks and additional storage in the walk-in closet. Master suite offers an incredible private retreat, complete with not one, but two closets and two separate vanities. Across the hall are two additional bedrooms, two full bathrooms and indoor laundry. Largest secondary bedroom can be easily converted back into a fourth bedroom, as framing and door is still intact. Entertain family and friends in the tranquil private backyard with lush landscaping, covered pergola and gas heated pool and spa. Homes like this don't come on the market often, shows impeccably and is a must see!